Lake Argyle is one of the most fascinating and beautiful attractions in the Kimberley. Each year thousands of visitors travel to see the spectacular lake nestled among the craggy masses of the Carr Boyd Ranges. We trust you will enjoy our peaceful paradise. 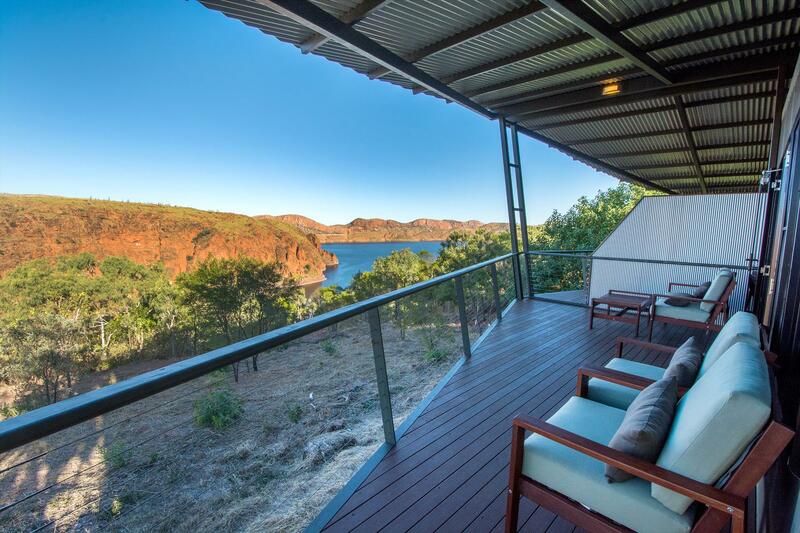 Base yourself at Lake Argyle Resort and experience all that the East Kimberley has to offer. With Lakeview Villas, Cabins and Caravan & Camping park. Lake Argyle Resort provides a stunning "infinity pool", fully licenced restaurant, shop, visitor information & tour sales, cruises, fuel, ice, bait and everything visitors to this remote area need. From Kununurra head towards the Territory Border on the Victoria Highway for 35km. Turn right and travel 35 km along Lake Argyle Road. From Katherine travel 7km past the Western Australian/Northern Territory border. Turn left and travel 35 km along Lake Argyle Road. All of our Lake View Villas are fully air-conditioned with en-suites. 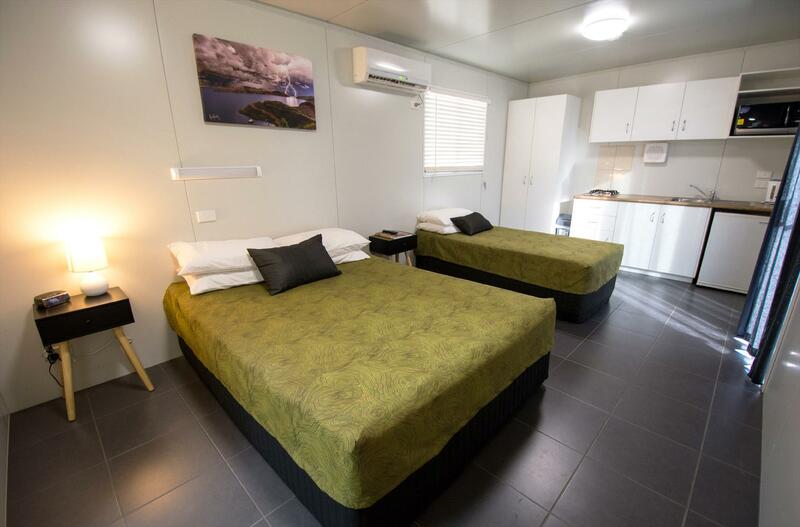 Each unit has a separate bedroom with Queen bed, lounge/dining area, small kitchen, tea/coffee making facilities, 200 litre fridge, microwave, large flat screen TV and a private deck looking out over the amazing views of Lake Argyle. 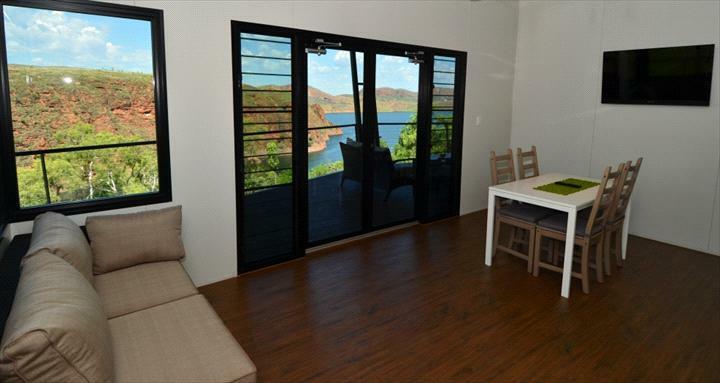 Magnificent 4 bedroom Villas designed and constructed specifically for the stunning East Kimberley Landscape overlooking Lake Argyle � ideal for family groups or friends travelling together. Includes: 4 en-suite bathrooms, 2 x lounge/dining areas, large outdoor deck/entertaining area, 4 x flatscreen TV�s, 2 fully equipped kitchens with 2 x 200 litre fridges, microwaves and tea/coffee making facilities. These amazing villas are perched on the edge of a hillside with an amazing outlook across a rugged Kimberley landscape. 100% penalty for less than 72 hours or no shows. 50% penalty possible for cancellations within 28 days. Minimum $20.00 booking fee for cancellations or changes.